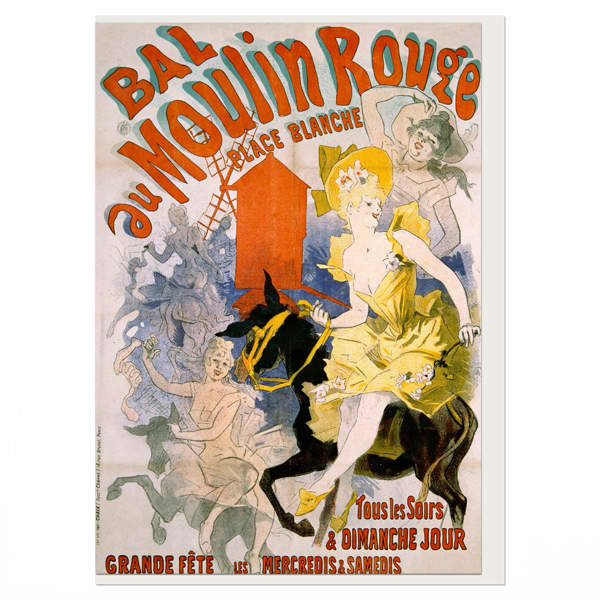 Single greeting card featuring artwork Bal au Moulin Rouge by Jules Chéret. Artistic posters were popular in Paris in the late 1800s, when people started to collect the well known 'Affiche Artistiques'. This lithography work is one of the many that made Jules Chéret to be considered the 'Father of the Modern Poster'.